There is one review of Touch. I bought Tous Touch primarily because Tous occupied the street-level store in the hotel I stayed at in Barcelona last year, and every time I walked past I saw the big display of perfume bottles in the window. (Okay, I liked the bottle with the hammered-gold cap and teddy-bear charm around the neck!) As I wear the fragrance now that I'm back home I've discovered that its a virtual clone of Coco Mademoiselle in the drydown. 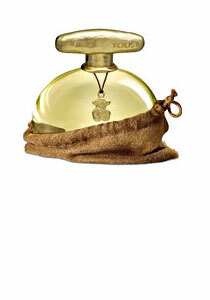 It has the same citrus top notes, floral heart, and vanilla-patchouli base. Actually, Tous Touch may be more wearable in some ways because its not quite as instantly identifiable as Coco Mlle. Luckily for me, I like Coco Mlle, but don't currently own it. There are no member images of Touch yet. Why not be the first?